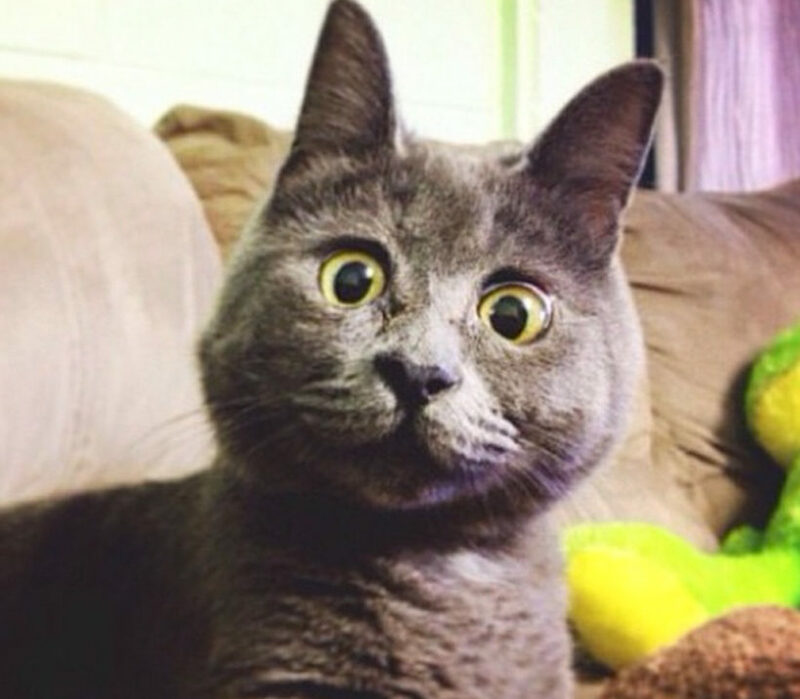 (London’s Daily Telegraph & Mashable) – Meet Kevin, a four-year-old Prussian Blue cat whose distinctive features make him look permanently surprised. The reason for Kevin’s distinctive looks is hydrocephalus. Hydrocephalus essentially means “fluid on the brain,” and Taliah told Mashable that Kevin’s sight, hearing, balance, coordination and reflexes are all impaired. Kevin is not fully blind or deaf, but his face gives the appearance that he is always surprised. Despite the grim prognosis Kevin survived. He’s never had a seizure – one of the biggest risks for cats with hydrocephalus. 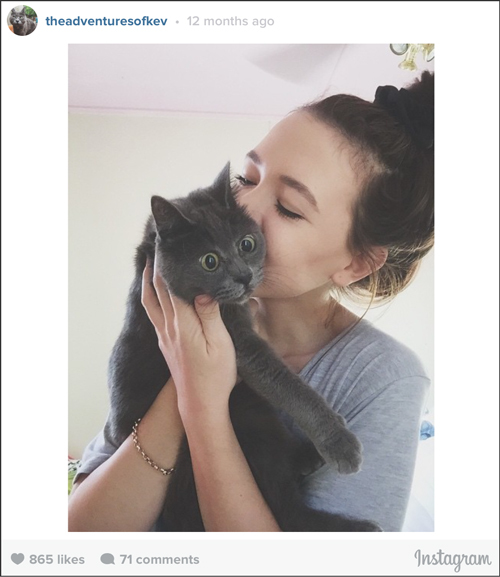 “He is such a little love bug and a scratch between the ears is his favorite,” she said. Taliah hopes Kevin’s story can prove to people that every little life deserves a chance. (CBS News) VERBANIA, Italy — Surrounded by relatives and friends, Italy’s Emma Morano greeted with a smile the news that she, at 116, is now the oldest person in the world. Not only that, but Morano is believed to be the last surviving person in the world born in the 1800s, with a birthdate of Nov. 29, 1899. That’s just 4 ½ months after Susannah Mushatt Jones, who died Thursday May 12th in New York, also at 116. Journalists on May 13th descended upon Morano’s home in Verbania, a northern Italian mountain town overlooking Lake Major, to document her achievement, but had to wait until she finished a nap to greet her. Morano lives in a neat one-room apartment, which she no longer leaves, and is kept company by a caregiver and two elderly nieces. “I am doing fine -116!” she told well-wishers from her bed Friday. “I finished school and I went to work. I used to sing. I had a beautiful voice,” she added, summing up her life in a frail voice. Her physician of 23 years, Dr. Carlo Bava, delivered the news earlier that she was officially the world’s oldest person. For the occasion, he brought flowers as well as seven Easter cakes called Colomba, an Italian specialty that he managed to procure out of season to satisfy her sweet tooth until Christmas, when Panettone is available. The doctor said Morano has never had a very balanced diet, relying mostly on animal protein, the occasional banana and grapes in season. Her diet now includes two raw eggs and 100 grams of raw steak a day, which Bava prescribed after she had a bout of anemia some years back. Her nieces also make her apple sauce. 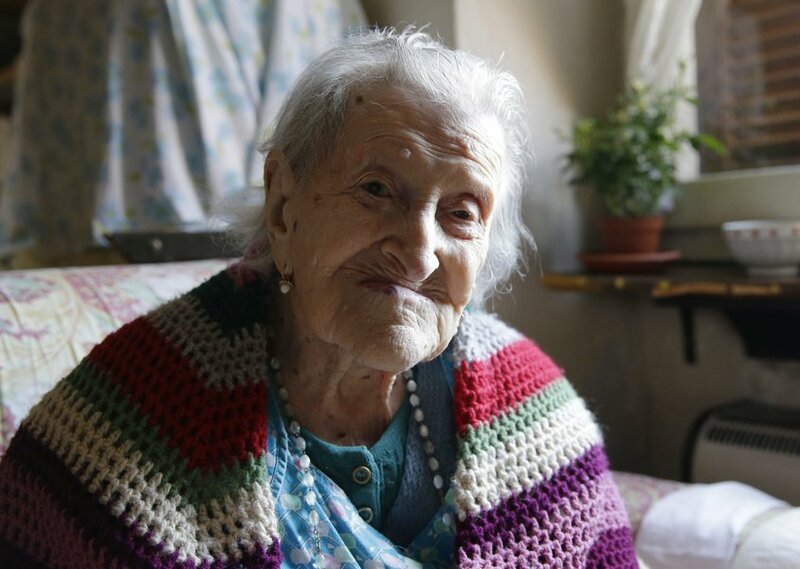 Italy is known for its centenarians — many of whom live on the Mediterranean island of Sardinia – and gerontologists at the University of Milan are studying Morano, along with a handful of Italians over 105, to try to figure out why they live so long. Bava, who visits her every Friday, is convinced there’s a genetic component to Morano’s longevity in addition to her positive attitude. One of her sisters lived to be over 100 and another to nearly 100. She has been in stable health for years, Bava said, with no chronic ailments. During a visit by the AP last summer, Morano was in feisty spirits, displaying the sharp wit and fine voice that used to stop men in their tracks. (London’s Daily Telegraph) – The town of Blenheim in New Zealand has been advised to change its name in a bid to lure more tourists. 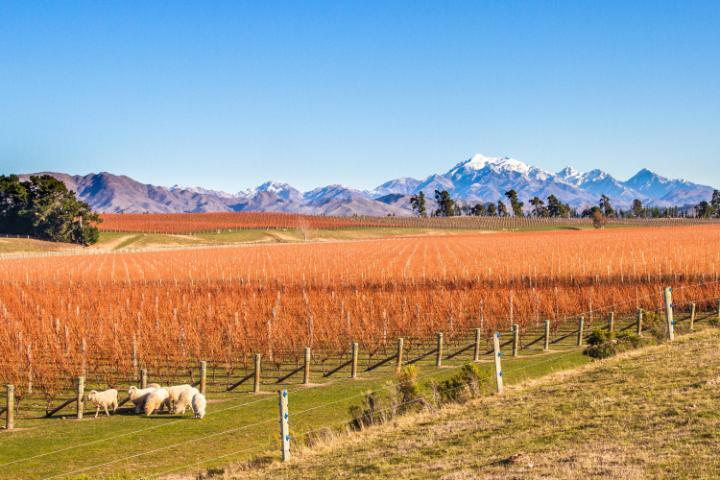 A group of business leaders believe the moniker “Marlborough City” will help it take advantage of the global success of the region’s wine industry – and encourage overseas visitors. Alistair Sowman, Marlborough Mayor, expressed surprise at the proposal, and pointed out a slight flaw: you need 50,000 residents to be classed as a city, but at the last count Blenheim had just 26,550. The Fifties game show Truth or Consequences saw contestants asked impossible questions, and – if they got the answer wrong – they were made to perform a wacky stunt. 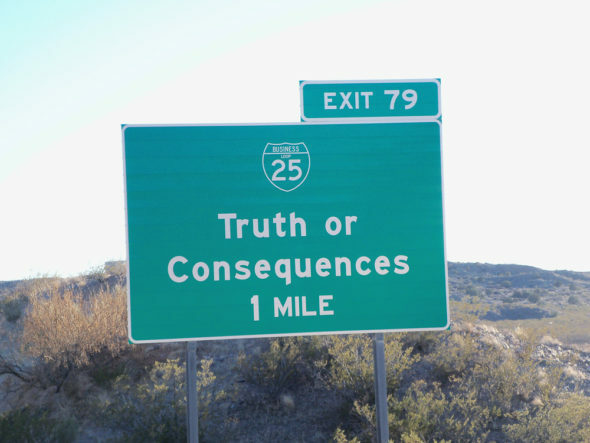 Its producers offered to host the show in the first town that would change its name to Truth or Consequences. Hot Springs, New Mexico, was the lucky winner. Formerly Clark, this Texan town became DISH in 2005 in a deal with a satellite TV company. All the residents were given a free 10-year subscription in return. Fed up with being lampooned by the likes of Ali G, Staines council voted in favor of a name change in 2012, adding “Upon Thames” to its historic moniker in a bid to boost its image. Others, including Staines Town FC – which has refused to change its name – labelled the decision a “sham”. 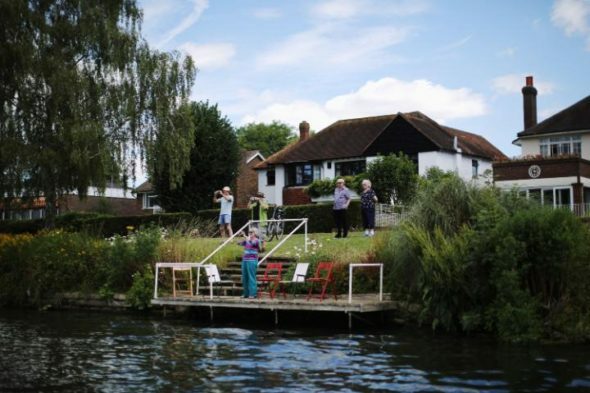 “It doesn’t take very much research at all to learn where Staines is if you don’t already know,” Steve Parsons, the club secretary, told the BBC. The Canadian city of Regina is today a thriving community of 210,000 people. But back in the 19th Century it was little more than an expanse of arid grassland frequented by buffalo and members of the Cree tribe. The Native Americans had a habit of piling up the bones of dead buffalo – and early settlers subsequently named their town “Pile-of-Bones”. It soon became Regina, after Queen Victoria. Previously known as Wineville, this California town opted for a new name in the aftermath of the Wineville Chicken Coop Murders, in which a man killed at least three victims. The new name, adopted in 1930, means “watches the hill”. Due to the large number of German immigrants that called it home, this Ontario town was once known as Berlin. The outbreak of the First World War saw it abandon its heritage however, much to the dismay of many residents. A public vote gave locals several options for a new name, though none could vote in favor of keeping the original. Amid controversy and accusations of intimidation, the town became Kitchener in 1916, after the British Secretary of State for War. 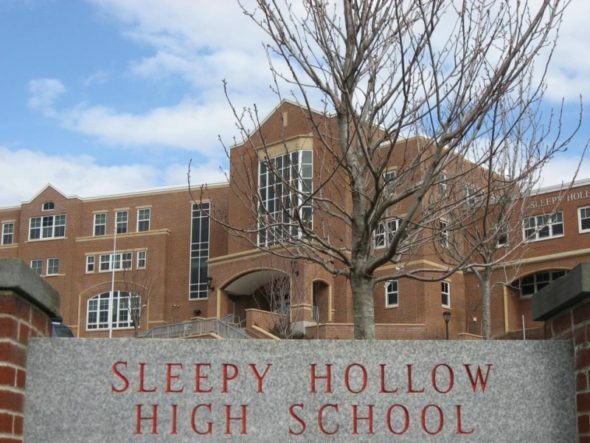 In an effort to cash in on its fame as the setting for Washington Irving’s short story “The Legend of Sleepy Hollow”, residents of North Tarrytown, New York, chose to officially adopt the name in 1996. At the height of the dot-com boom, Halfway – as part of a publicity stunt, and in return for $110,000 and 20 computers for a local school – renamed itself “Half.com” for a whole year, after an Internet start-up that is now a subsidiary of eBay. The new name was never legally binding, but a couple of new road signs were erected as part of the deal. Another unofficial name change, Ismay briefly called itself “Joe, Montana” in 1993 in honor of the NFL quarterback of the same name. Even though Joe Montana played for Kansas City. For obvious reasons, this Ontario community faced calls to change its name following the rise of the Nazis. It refused to bow to pressure and retains its moniker, which has been an old Sanskrit symbol for good luck since long before it was appropriated by Hitler.